Birds In Focus is a collaboration between Bob Gress, Judd Patterson, and David Seibel. All three are active bird photographers from the state of Kansas who share a vision to deliver the best bird photography from North America and beyond. While the idea arose in 2005, it took several years of brainstorming and intense bird photography before we felt the site should go live in 2009. 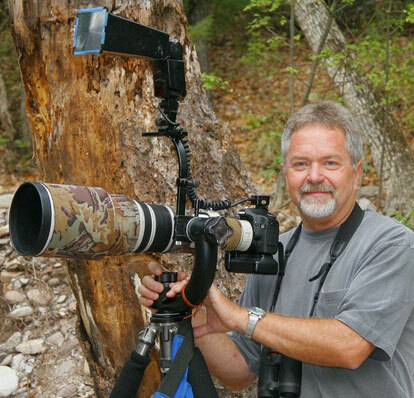 Bob Gress is a naturalist, photographer, and birder. He holds an M.S. in environmental biology from Emporia State University. He is the former director of the Great Plains Nature Center (GPNC) in Wichita, KS and is editor for the popular pocket guide series published by the GPNC. 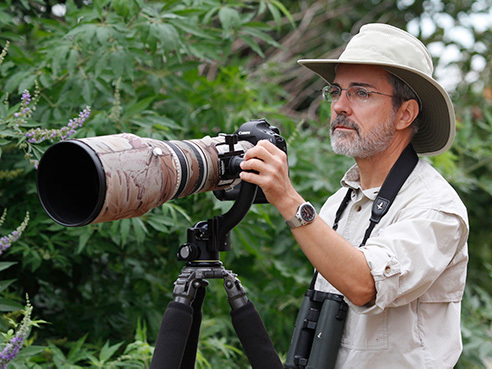 He has photographed birds and mammals for publications for over 30 years. Over 4,000 of his photos have appeared in a wide variety of publications including most major nature magazines and more than 50 books. He has coauthored: Birds of Kansas, The Guide to Kansas Birds and Birding Hot Spots and Faces of the Great Plains: Prairie Wildlife. Bob was a major contributor of photos to The Smithsonian Book of North American Mammals and The Guide to Colorado Mammals. Judd Patterson was born in Kansas and began to seriously develop his interest in nature photography while in high school. Judd attended Kansas State University where he completed a Bachelor’s in Biology and a Master’s in Geography. Judd currently works for the National Park Service with the South Florida/Caribbean Inventory & Monitoring Network. He continues to pursue nature photography to promote environmental education/conservation and for the sheer joy of being outside. Judd’s photography has been used for a variety of regional and national causes including The Nature Conservancy publications, Audubon Magazine, Bear River Migratory Bird Refuge education center, Tallgrass Prairie National Preserve visitor center, and birding guides. He has exhibited in Kansas, Florida, and Washington D.C. including the Department of the Interior Museum and Everglades National Park. Judd remains highly motivated to capture images of threatened species and habitats in order to play a role in ensuring their future. David Seibel, Ph.D., is a native Kansan and lifelong birder. He earned his doctorate in ornithology from the University of Kansas and was a biology professor for over 25 years before retiring from teaching in 2017 to pursue nature photography and writing full time. His passion for birds has taken him to five continents, eleven countries, and almost every state in the U.S. 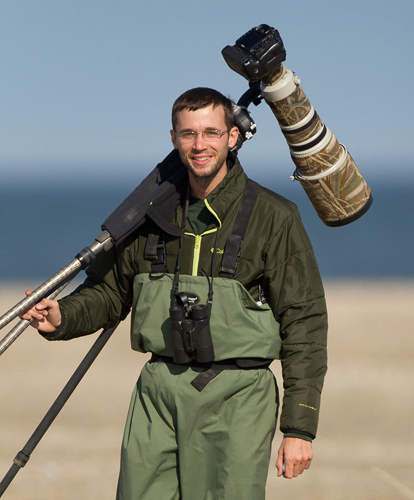 Since 2005 he has captured hundreds of thousands of digital images of birds with professional Canon gear. His photos have won several regional and national awards and appear in publications by the American Bird Conservancy, American Birding Association, Cornell Lab of Ornithology, National Audubon Society, National Geographic Books, National Wildlife Federation, The Nature Conservancy, Nature’s Best Publishing, University Press of Kansas, and many other natural history publishers in the U.S. and abroad. Seibel has also written numerous scholarly, educational, and popular articles and books. Along with Bob Gress, he is a coauthor of the authoritative Birds of Kansas, published in May 2011 by the University Press of Kansas.